Welcome to our article on the Ultimate guide to island hopping in the Caribbean. 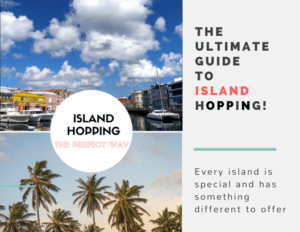 More and more tourists are discovering that an island hopping experience is the best tourist attraction for any tropical vacation. You get to see more islands and take in the beauty of untouched nature of places nowhere else can offer. Island hopping can give you an exhilarating and special memory like no other. Each island can offer something different so that you can take in more from what it has to offer. If you have enough time to go island hopping, the Caribbean is the best destination to take advantage of this. With the many options of travel by air, land and sea, you can choose to visit as many islands as you’d wish. The Caribbean gives endless opportunities and places to travel. It literally has hundreds of small islands all spread out but is accessible enough for any traveller. It’s a paradise for lovers, families and lone individuals who are looking into a peaceful and relaxing tropical vacation. When you go for vacation in the tropics, there are hundreds of islands to choose from. Every island is special and has something different to offer but here are just some of the notable places that you might want to consider. The island of Saba is relatively new to the tourism industry, with about 25,000 visitors each year commonly known as the “The Unspoiled Queen” of the Caribbean, the island has a land area of 13km² (5 sq. miles). And a population was 1,824 inhabitants. The island of Saba is part of the Netherlands, Dutch is the official language. Despite the island’s Dutch affiliation, English is the principal language spoken on the island and has been used in its school system since the 19th century. The island has a number of story book like inns, five star hotels, ocean front cottage rentals and really fine restaurants. If you’re up for a little adventure, then visiting the unspoiled island of Saba is a must do. The island is specially known for its ecotourism, having exceptional scuba diving, climbing and hiking. 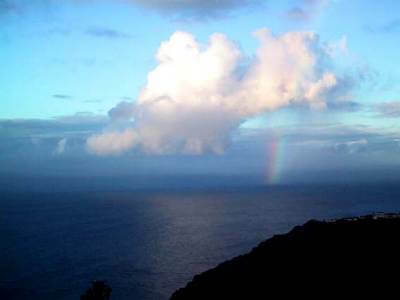 Saba provides you an exciting hiking experience with beautiful seas and rainforest as your landscape. You can reach the highest peak of the Netherlands, Mt Scenery, and be back at the ship dock all in one day. The scenery at the top of 2,885 feet is just unbeatable. The mountain trail even has convenient places to stop and dine. 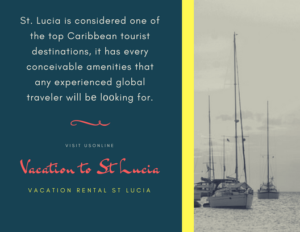 St. Lucia is considered one of the top Caribbean tourist destinations, it has еvеrу conceivable amenities that аnу experienced global traveler wіll be lооkіng for; it has Spas, Jacuzzis, elegant architecture and еvеrуthіng іѕ оf the highest quality and compare with the bеѕt іn the world at all levels. Located in the eastern Caribbean chain of islands directly south of Martinique and north of St Vincent and the Grenadines, St Lucia is an island which has it all. Sporting several international tourism awards St Lucia is highly regarded as the romantic capital of the Caribbean. It is the premiere romantic getaway and destination wedding spot in the Caribbean basin. 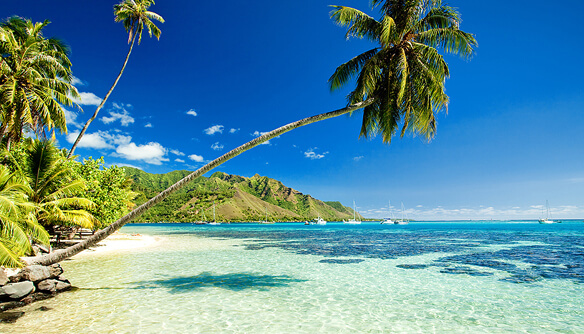 Just like any island in the Caribbean, it also boasts of white beaches and clear seas. You will find that the island has the ultimate fusion of traditional French culture, the finest of world class tropical resorts and hotels. This island is also a good place to go for underwater adventures like scuba diving or snorkeling. Another place you wouldn’t want to miss on this island is its century old marketplace. From St. Lucia, you can even go island hopping to the Grenadines. It has the world-famous Tobago Cays for divers and snorkelers. The Virgin Islands of the United States (commonly called the United States Virgin Islands, U.S. Virgin Islands or USVI) are a group of islands in the Caribbean that are a part of the United States. The islands are geographically part of the Virgin Islands archipelago and are located in the Leeward Islands of the Lesser Antilles. The U.S. Virgin Islands consist of the main islands of Saint Croix, Saint John, and Saint Thomas, along with the much smaller but historically distinct Water Island, and many other surrounding minor islands. The total land area of the territory is 133.73 square miles (346.4km2). The island group has a population of 106,405, mostly composed by those of Afro-Caribbean descent. It was a formal the Danish West Indies; they were sold to the United States by Denmark. Tourism is the primary economic activity, The US Virgin islands are considered tourist friendly for any new traveler. The language spoken is English and the currency used is the U.S. dollar. These are conveniences that can make the travel experience easier. St. Croix is famous for having the finest diving spots in the world and miles of beautiful beaches. The architecture on the island will also seem like it brings you back to the island’s past. Saint John on the other hand, is the smallest among the three. Two thirds of the island is a national park so it’s an ideal destination for hikers and mountain lovers. It is an island with a combination of mountain trails and seashore. Lastly, St. Thomas and the Water Island are popular as a cruise destination due to the deep harbor that surrounds it. It’s a picture perfect island with pastel houses on the hills. Pristine white beaches also abound the island. Antigua is surrounded by famous tourist destinations such as the French islands of Montserrat and Guadeloupe to the south, and to the north and west are Nevis, St. Kitts, St. Barts, and St. Martin. The island is about 87km (54mi) and about 281km2 (108sqmi) with a population of approximately 80,161.
is situated in the north-west and has a deep harbour which is able to accommodate large cruise ships. on the south-eastern coast is famed for its protected shelter during violent storms. It is the site of a restored British colonial naval station called “Nelson’s Dockyard” after Captain Horatio Nelson. Today English Harbour and the neighbouring village of Falmouth are internationally famous as a yachting and sailing destination and provisioning centre. 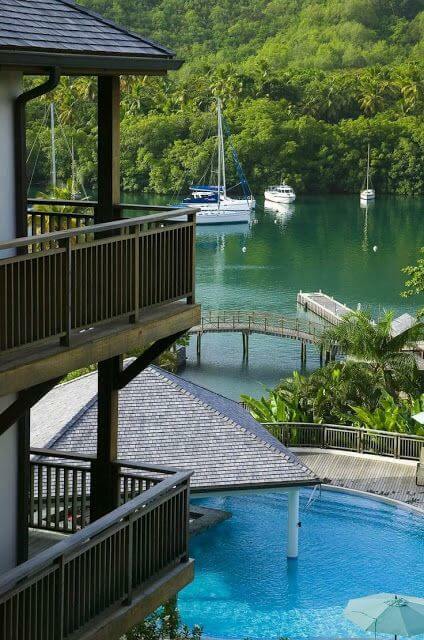 Antigua is best known for its many coral reefs that are any diver’s dream haven. With its rushing trade winds, it is also a good place for sailboats. These winds have also kept the tropical temperature perfect with low humidity. 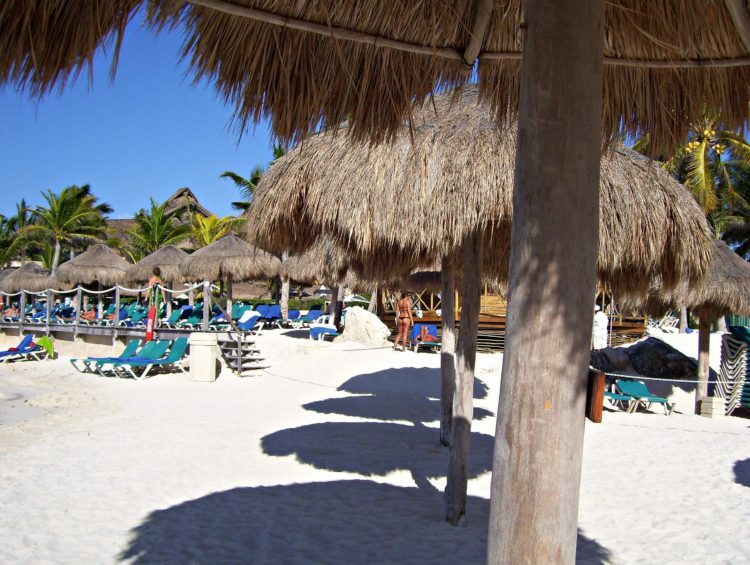 It’s pleasant and comfortable for any traveler new to the warm tropical weather. Needless to say, the island has its own picture perfect beaches. If you’re in Antigua, another place near enough that you should visit is Barbuda. It has a popular bird sanctuary which every tourist will appreciate. which is at the end of April and beginning of May, the annual world-class regatta brings many sailing vessels and sailors to the island to play sports. For years, this has been one of the most popular Caribbean tourist destination. The Bahamas is a country consisting of more than 3,000 islands, cays, and islets. It is located in the Atlantic Ocean north of Cuba and Hispaniola (Dominican Republic and Haiti), northwest of the Turks and Caicos Islands, and southeast of the United States of America (nearest to the state of Florida). Its land area is 13,939km2 (5,382sq mi), with a population of 353,658. Bahamas capital city is Nassau. With over 3000 islands, it is the dream destination for honeymooning couples. With complete amenities, you can enjoy what the Bahamas is most famous for, the exceptional beaches with clear blue waters and powder-white sands. With its close proximity to the U.S., this is a perfect location that’s just one airplane ride or a short boat ride from main land USA or other Caribbean Islands. Tourism is Bahamas primary source of income, it is also consider one of the most prosperous countries in the Caribbean region. With a long list of historic plantations and forts to explore, close encounters with West Indian flamingos. The Bahamas has a lot to offer so, let’s go inland and explore and see what this archipelago has to offer. The spring supposedly restored youth to older persons who bathed in or drank its waters. Saint Maarten is an island in the northeast Caribbean, approximately 300 km (190 mi) east of Puerto Rico. The 87 km2 island is divided roughly 60/40 between France (53 km2) The Netherlands (34 km2). The Dutch side has the larger population. It is one of the smallest Sea Islands divided between two nations, a division dating to 1648. The southern Dutch part comprises Saint Marten and is one of four constituent countries that form the Kingdom of the Netherlands. The northern French part comprises the Collectivité de Saint-Martin (Collectivity of St. Martin) and is an overseas territory of France. The population of the entire island was 74,852 inhabitants, with 38,927 living on the Dutch side, and about 35,925 on the French side. This island can give you a European style experience. Travelling the island will introduce you to French cuisine in restaurants at the Grand Casa village and cafes at the Marigot waterfront. Even the boutique shops carry French fashions. The other side of the island will offer Dutch experience where you can shop for bargains or go gambling at the casinos. You can also stay at the beautiful beaches like the popular Maho beach. Each Caribbean island is unique with its own multicultural background. Island hopping can give you endless Caribbean Vacation options. Island hopping in the Caribbean is definitely worth it. With its diverse islands, you are assured that each visit will give a whole new different experience. From beaches to waterfalls and just about any natural wonder, it can give you an exhilarating and special memory like no other.